Information Architecture, or IA, is the term often used to describe how content is modelled, given structure, and then represented on a website or Intranet. The phrase tends to have slightly different meanings to different people, and can refer to much more technical topics than those we will look at in this post. In the world of SharePoint management, Information Architecture typically refers to how content and documents are laid out across an Intranet system. This is what we will look at here. A good IA can be the difference between a usable system that is widely adopted by users, and one that struggles to get off the ground. In this post, we will look at what it takes to build a good IA in SharePoint. The above elements can easily be added to a SharePoint environment using out of the box functionality. How they are organized, laid out, and thus accessed by users - that is very much up to those who are implementing the system. As a first step, it is important to realize that technology alone is not the answer. It must not be allowed to drive the solution. 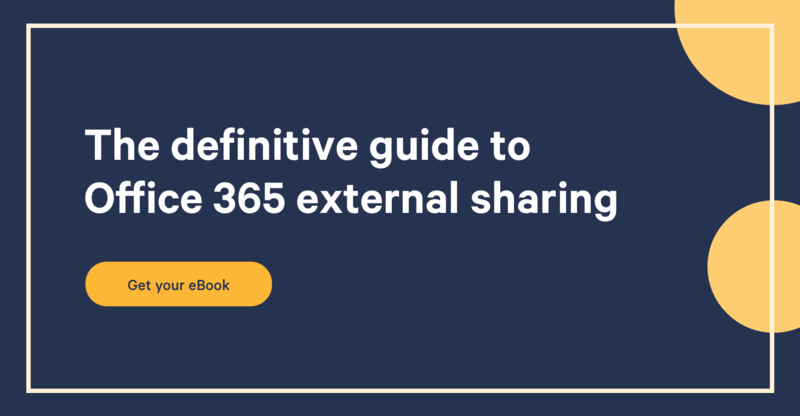 The key to this is to abstract yourself away from the technology, and focus on the types of content you want to store in your SharePoint environment. You should focus on understanding the content in isolation. What types of documents do you want to store? What information about those documents (e.g. published date, author) should be stored? Do you need images, or video? Who will be accessing the different types of content? Do you have more structured information, such as lists of suppliers or key marketing contacts? Armed with a solid understanding of the content, and how people will interact with it, you can start to consider how SharePoint will meet requirements and integrate that in your governance plan. Site Collections: Logical containers with a unique name used to store a collection of sub sites. Sites (and subsites): The core ‘visible’ element of SharePoint. Sites are containers which store libraries and lists. Users often navigate directly to a site and are redirected to its homepage. Libraries: Located within sites, libraries store items that are ‘files’. Examples include Site Pages, Images, Videos, Documents. These are all stored in libraries. Lists: Similar to libraries, except instead of storing files they store ‘items’. An item, in many ways, is akin to a line of structured information from a table or database. Folders: Located in libraries and lists, folders are sub containers with names. Metadata: The properties that are applied to items inside libraries or lists. Managed metadata: A centralized version of metadata that can be managed in an enterprise way. Content Types: A definition created for a type of item being added to the system. It can be used to define how the item is treated i.e. what metadata is needed for a type of document, or what retention schedule should be applied. You can learn all about content types here. We have used a combination of Site, Pages, and Lists to best represent the content. One of the challenges of building a good IA, is that there are a number of different ways of representing any given set of content. The above is just one direction you could take with our example, but there are others. To help you get off to a good start with your Information Architecture, we present a number of tips and tricks. If you have any more useful advice then we would love to hear it, add a comment at the end of this post. Build a structure that users would consider logical, one they would recognize. A simple example is that all supermarkets tend to have a similar layout, which means, even if you have never been to that particular store before, you have a good idea how to find something. Ensure users are able to store or find things without having to ask or be taught. It is impossible to determine, upfront, every possible type of content your solution will need to hold. Your IA should be extensible so that it is able to grow and incorporate new types of content as they become apparent. It is important to create appropriate sites and subsites (as well as libraries, metadata, content types, etc) for the content you are working with. But there is a balance. Asking a user for too much metadata, or making them navigate twenty subsites, will just frustrate them. Users don't want to fill out twenty metadata fields, nor select from twenty different content types. To reduce frustration, or risk of user error, limit users' choices to between four and seven at a time. It is believed that this is the optimal number of items a user can manage easily in their short term memory. Search is core to delivering a successful solution. Simple things like creating default metadata values for documents (i.e. all documents uploaded to an HR site get tagged as ‘HR’) can support search functionality. There are many reasons for this but, simply, folders create usability issues by hiding away content in a nested structure. Leverage metadata, libraries, views and web parts appropriately instead. Benjamin's article on logical architecture of his Governance planning series could be a great addition to this read if you want to learn more on the subject.